Is This What They Call “Tolerance”? Then someone decided to essentially raise a middle finger to it and make a Papa Darwin version, as seen in the cartoon at the top. Yes, I know they're out of order, I wanted to lead with a colorful 'toon, OK? I should get got one of those! My earlier "out of hand" remark is because there are many more designs available. Several are marketed toward obstreperous atheists, and some are marketed toward sci-fi loving virgin geeks. Even more can be had. Clutter! So anyway. This is an appropriate celebration of getting my autographed copy of The Lie: Evolution by Ken Ham replaced. EDIT: Now revised and expanded! In today’s secularized culture, we often hear people (particularly leftist humanists) demand what they call “tolerance.” Christians are often accused by these humanists of being “intolerant.” I have heard the accusation of “intolerance” against AiG and what we teach many times over the years. However, what I have found is that usually those who call for what they call “tolerance” are extremely intolerant of the absolutes of Christianity. What they mean by “tolerance” is often a tolerance of all views that agree with theirs, but an intolerance of views that disagree with theirs. Two interesting news items I read this week seem to illustrate this. It is also a sign of our increasingly secularized culture, with its growing anti-Christian sentiment. The first item comes from the United Kingdom. This harmless old man only had one crime: Cheering for the attacks on America. Other than that, he never bothered anyone. 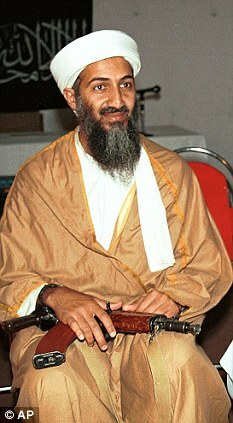 Just before his death, Osama bin Laden told London sleeper cells to carry out attacks. Read more here. Also linked here. Addendum: B. Hussein Obama says that bin Laden wasn't a Muslim leader. Yeah, sure. Only Obama Zombies believe that tripe! Well, the question has been raised: If he wasn't a Muslim leader, why was he buried at sea within twenty four hours? By the way it adds fuel to my own fire that B. Hussein Obama is a closet Muslim, what with giving the carcass such dignities. Did you know that with slain murderers, the ceremonies are often postponed because of post mortems? Yup, I'm still a bit suspicious.